Late sorry we have been editing :3 as well as me getting home at 10:00 pm. If possible please add this to your Novel Updates Reading List do leave a review as well. The beastmen’s love for alcohol was no different from their love for women. “I want to drink, too!” Ao Li Quan Ya had wanted to try since long ago. “You cannot drink!” Zou Liang immediately refused, burying her intention while it was still in its cradle. If she wanted to drink, that would need to be done in a city since no one knew what this damsel would be like when she was drunk. The surroundings were a noisy racket but Zou Liang felt that there was something wrong; these people’s Beast Spirit fluctuations were not normal and was very uptight, as though they were guarding against something. It would be normal if it was only one or two—there would always be some no matter the surroundings—but for an entire group to be like this was out of the ordinary. “Ya Se, have a cup. You and your brother are the famous Bi Er making waves on the continent. Ke Te and Lan Di were both stunned; there was a Bi Er that didn’t drink? It was only after hearing this that Ke Te and Lan Di were relieved, though in reality, Zou Liang had hidden his desire. At university, it had been common for a group of single men to love drinking a bit of wine, but he had seen many Wuxia films1; when away from home, safety had to come first. It was important that at least one person remained sober, to say nothing of the fact that he felt the situation to be rather odd. With the three youngsters already associated with each other coupled with a good mood, it didn’t take long before another two jugs were consumed. Ai Wei Er did not have any urge to persuade them, either, since this was the beastmen’s custom and to not let a person drink was impolite. Even Ai Wei Er had had some drink, and only Ao Li Quan Ya was restricted by Zou Liang. On that subject, it was definitely out of the ordinary. Normally, if someone was to try to keep an eye on Ao Li Quan Ya, it would be exceedingly difficult, yet Zou Liang had managed it with only a single word. Even if the little beauty was not willing, she still behaved herself and ate her vegetables. After a long time, the people had drunk and eaten until their hearts were content and were going to leave. Since nothing had happened, Zou Liang thought it was just him being overly sensitive since his experience and comprehension was more abundant than most. He’d retained memories from his previous world but it seemed it was less effective in practice; seeing that nothing had happened before they finished their meals, it was definite that he had been overly suspicious. “Beautiful, come and accompany us grandpas for a few drinks,” a Wo Fu member from a nearby table suddenly called out. “Yeah, don’t leave in such a hurry,” one said, reaching out to grab Ao Li Quan Ya. Zou Liang’s Engraving Knife had been prepared a long time ago. This Wo Fu member fiercely grabbed the knife and a miserable scream sounded out. Zou Liang’s expression was honest and innocent as he looked towards the other party with teary eyes. The other five did not say anything unnecessary and immediately charged towards Zou Liang, and the originally swaying Ke Te and Lan Di rushed forward without further delay. To punch and kick did not require Beast Spirit Transformation, and as two of Ye Lu Samo City’s elites of the younger generation, they would be more than enough for a few beastmen. Very soon five people were laid out on the ground, leaving Ke Te and Lan Di—who had already had their fill of food and drink—delighted with the warm-up. The two had to have a contest over everything, absolutely trying to obtain the upper hand. Although fighting was nothing out of the ordinary for beastmen, there were still laws in the city; while it was possible to duel there were restrictions in place. Outside of the city, however, the winners were kings and the losers were thieves. It didn’t matter if it was a noble or a normal person, the victors were your ancestors and the losers could only run home in tears. “That doesn’t count! You’re supposed to rush out and beat all five by yourself!” Ao Li Quan Ya returned, displeased. Deep down she had wanted Ya Se to show off a bit. “I’m a priest, and one in training at that. I’m in charge of Engraving and don’t have the fighting ability that Ke Te and Lan Di have,” Zou Liang laughed, shamelessly not giving ground. A book on the complete method to pick up girls had once said “to be docile and obedient is to take advantage of one’s skill, only in the perfect confrontations would it leave a deep impression”. “Heng,” Ao Li Quan Ya grumbled, not buying any of it. She had never seen such a cunning Bi Er, and she had clearly seen him hit Ou Nisi Te flying with a single move. Zou Liang didn’t mind Ao Li Quan Ya’s outburst, leaving Ai Wei Er to one side feeling a bit confused. She had originally thought that Ya Se and Ao Li Quan Ya had something going on between them, but if one liked another—according to the habits of a beastman—they would try to show off their abilities in front of each other. How would they be so reserved? Ke Te waved his hand. It was at this time that many people in the pub stood up and the main door was shut. The one speaking was a clear and plain Fu Ke Si. He was playing with a jade ring around his thumb, and he had eyes that wanted to swallow Ao Li Quan Ya and Ai Wei Er whole. “What kind of thing are you that your tongue doesn’t fear even the winds and lightning2?” Lan Di frowned. Ai Wei Er was a bit tipsy, causing her face to flush a slight red3, gentleness and beauty penetrating through her charm. The Rui Bo Te were famous for being concubines. “Perverted Fox Chabu!4” Ai Wei Er’s disdain was coupled with an ugly expression after hearing such a fugitive had shown up here. “Is he famous?” Zou Liang asked in a low voice, just like a Bi Er bumpkin that had never seen the world. 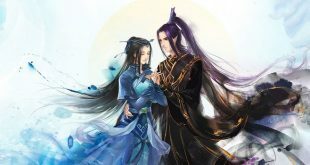 Lan Di and Ke Te’s expressions both became solemn; it seemed that they were a whole grade apart, but there was still only victory or defeat. A bronze-grade’s Defence at maximum would be 10, and with plain-grade equipment it would be hard to penetrate unless it was aimed at the vitals. Since the opponent was a Shadow Hunter, though, the chance of attacking the vitals was akin to soaring to the Heavens. Of course Lan Di and the others wished to play the part of the hero, but they were not so dumb as to throw their lives away. Only if someone possessed an entire set of bronze-grade Beast Spirit Transformation could they be considered as bronze-grade, and it was clear that Chabu completely suppressed them in this area. With this, it could be said that Ya Se had forced himself onto the road towards extinction, and now he could only hope that the opponent would succumb to the pressure of the families and give a bit of face. Huala, everyone in the pub stood up. Evidently this was an operation using the full group of bandits. Chabu was unable to restrain his perverted mind and criminal desires; now that he had met two goods of the highest quality with so few bodyguards, how could he let them go? Chabu’s sharp ear-piercing voice sounded out while the band of thieves immediately surrounded Lan Di, Ke Te, Patelisi, and Ou Nisi Te. This gang had clearly cooperated before, and they’d separated the party into groups as soon as they advanced, treating Zou Liang alongside Ao Li Quan Ya and Ai Wei Er as noncombatant hostages.